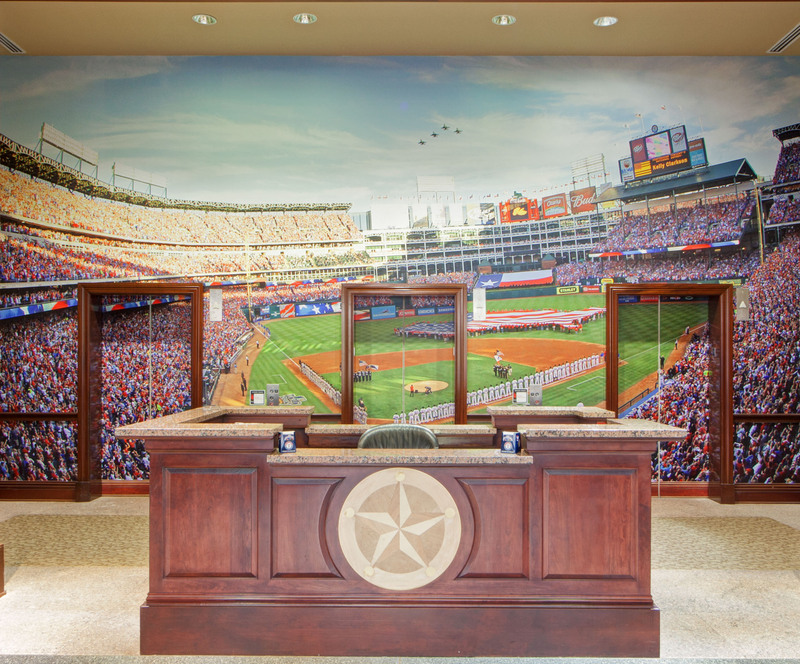 A while ago we did a really spectacular job for the Texas Ranger’s lobby. They came back to us, very happy with the custom wallpaper, but feeling like the elevators left a really big hole in the custom wallpaper look. They asked us if the elevator doors could be done in custom wallpaper too. We produced adhesive vinyl for the elevator doors. Since our systems are all calibrated to reproduce the same color on any of our materials, they match very well. The Rangers have their elevator doors to match the rest of the lobby wallpaper, and the look is complete! This entry was posted in Custom Printed Wallpaper and tagged adhesive vinyl, custom wallpaper, lobby wallpaper. Bookmark the permalink.